The Pie Shop Oxford was a restaurant run by The Pie Emporium during 2013 and 2014. It served high-quality, handmade pies and delicacies in a unique, vibrant and idiosyncratic setting. 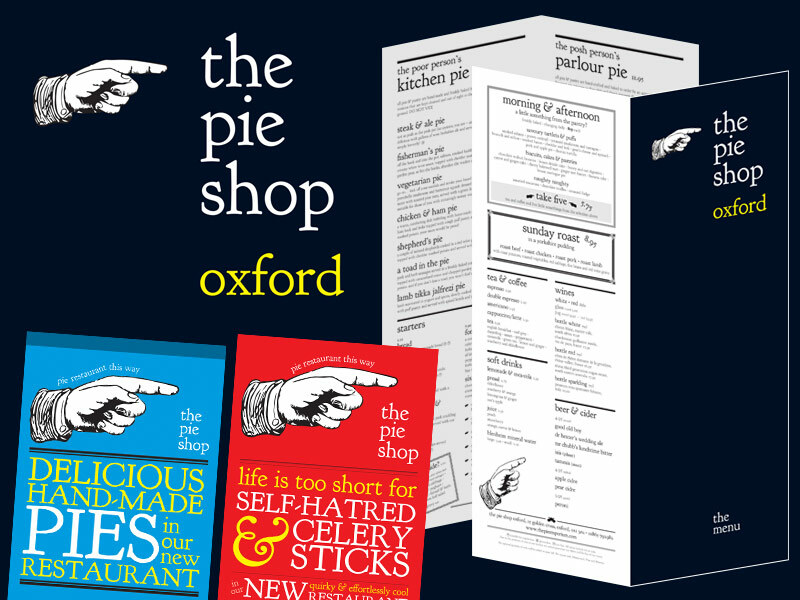 I created the branding and a series of print materials for The Pie Shop Oxford, including logos, menu design, posters and billboard designs, signage and marketing materials. I also created a simple website to carry information about The Pie Shop Oxford, providing search engine presence to accompany the restaurant's launch.